ommitted to effecting positive change through catering for the varied knowledge and research demands of both the Muslim and wider community in areas relating to Islam, the Solas Foundation was set up in the summer of 2009 by two Scottish Muslim Scholars. This came about after wide-scale consultation and correspondence with prospective stakeholders, leading to the establishment of the Solas Foundation. The 12th century Muslim Lexicographer Raghib Al-Asfahani, when defining in his own unique way the meaning of light, described it as "the expansive radiance that helps us perceive things as they really are". The metaphor of light as a source of guidance and clarity has pervaded human language from the earliest times and all peoples have an array of words that suitably convey different aspects of the unique nature of light, be it as the source in and of itself, or the radiance reflected from a source greater than it. Solas the Scots Gaelic word for light, amply reflects both the richness and meaning associations that light conjures up. Solas is used to denote the changing phases of the moon, from the birth of the new moon to the waning crescent at the end of its monthly cycle. It is also used adjectively to denote clear and pure water. It is perhaps the use of the word Solas to convey knowledge that best demonstrates the cross-civilizational power of language to forge patterns and meaning associations that pervade across continents. 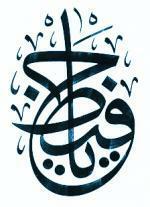 "Knowledge is light" as the 8th century jurist As-Shafi'i said. It is this that is at the core of the operational ethos of The Solas Foundation and it is this that we are committed to promoting through authoritative scholarship and learning, harnessing religious ethics in order to promote a better civic and social experience through targeted research and learning. Like light itself, knowledge cuts through national and geographic boundaries to increase our appreciation of the environment we live in as well as the people with whom we ultimately share our destinies. The Solas Foundation believes that like light itself, knowledge cuts through national and geographic boundaries to increase our appreciation of the environment we live in as well as the people with whom we ultimately share our destinies. Scotland itself defines its own identity not in some narrow puritan view of ethnic nationhood, but rather as lying in a commitment to shared ideals and concerns and through these it projects what it means to be Scottish. The Solas Foundation holds that a true demonstration of Islamic teachings enriches the identity of Scottish Muslims and through it wider society. 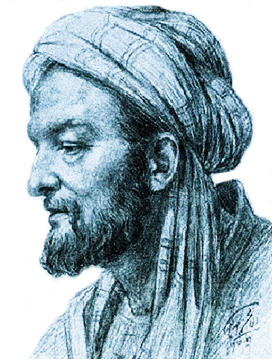 Amongst the meanings narrated of the otherwise elusive words of the Quran "light upon light", is that given by the Muslim theologian Ibn-Qayyim, who stated that they allude to the acquisition of knowledge which then helps enrich the primordial purity of the human spirit (fitrah) to produce truly enlightened human beings and through them a sane society. "Neither of the East nor of the West" but balanced, between the extremes of wanton excessiveness on the one hand and obscurantism on the other, guided by the collective teachings of Prophetic legacy. It is the conviction of the Solas Foundation that such a task is not only achievable, but that the achievement of this will lead to another meaning of the word solas, that of real contentment and solace. What is required is the ability to attend to the needs of society as a whole and "to perceive things as they really are". It is the contention of the Solas foundation that mainstream Islam, both in terms of faith and practice, is accurately represented in the major learning centers of the Islamic world. Aberrant and extreme manifestations of the Islamic faith only appear when individuals and communities cut themselves off from these channels of learning. It is through the re-establishment of these channels of learning and scholarship that a representative and balanced Muslim narrative will emerge. It is through the re-establishment of mainstream channels of learning and scholarship that a representative and balanced Muslim narrative will emerge. 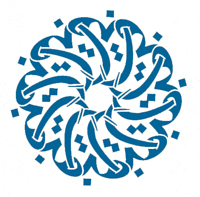 The Solas Foundation believe that an informed and coherent representation of the Islamic faith tradition has always been a condition of Islamic renaissance and it is our endeavor to shed much needed light on the timeless divine principles and sources that can help humans lead more fulfilled and creative lives. To this end, we seek to develop educational and study programs that lead to a contextual appreciation of the teachings that have given Islam both its historic stability as well as requisite dynamism to face up to the challenges of the modern age. As such, it represents an innovative blueprint for cross organizational co-operation and support, focussing on capacity building within existent organizations by catering for their needs. This is essential for shedding light on the Muslim scholarly perspective on questions of public and private concern. It is the deep held conviction and belief of the Solas Foundation that a non-sectarian and socially pluralist vista provides the most accurate representation of the expansive teachings of the Prophets, and to this end it strives to reflect this inclusively into all of its activities. A non-sectarian and socially pluralist vista provides the most accurate representation of the expansive teachings of the Prophets. These teachings hold that both gender and class should not be put up as barriers to having an impact on the wider civic sphere and so the Solas Foundation aims to develop avenues through which all individuals are able to harness their particular skills for the benefit of wider society. In this it actively engages with other interested collectives and organization to make this vision a reality. Develop partner relationships with existent Muslim organisations and service providers, offering bespoke advice and training that helps the community in realising its goal of enriching its human capital base. Facilitate the process of building leadership capacity within the Muslim community and beyond in order for society as a whole to be better placed to address the social, environmental and economic issues affecting us all. Pioneer in the provision of quality learning and education through channels of authentic and authoritative scholarship (the ďż˝ijazaďż˝ system of authorisation) that faithfully represent the Muslim knowledge tradition.